Good morning ladies! Are you ready for the weekend? 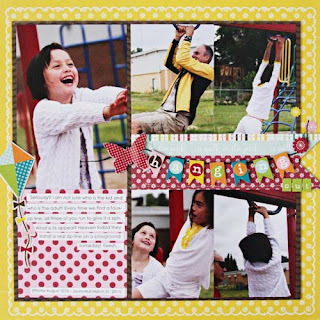 Well if you some some scrapping time this weekend, give Lorraine's fabulous chromotherapy challenge a go! 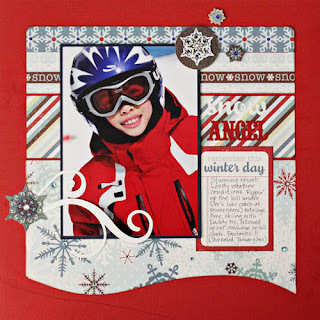 For the Fabulous Friday challenge today, I wanted to not only supply you with an inspiring color theme, but to also tell you about a design rule that you can use on all your pages. 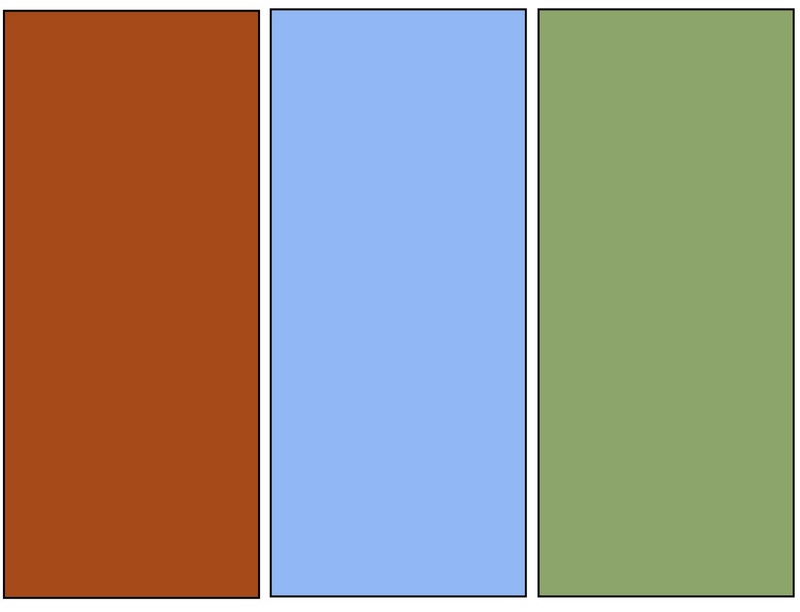 Here is the color pallet that I am working with. "Create color balance on your layouts by following the gallon, quart, pint rule of thumb. Basically all you need to do is select the color you want to be the most dominant on your page. This is your "gallon" color - generally it becomes your background color. 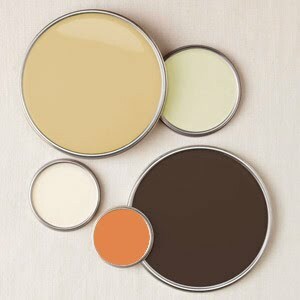 Pick one more color for your main accent color, or "quart" color. Use only half as much of this color as you use of your "gallon" color. 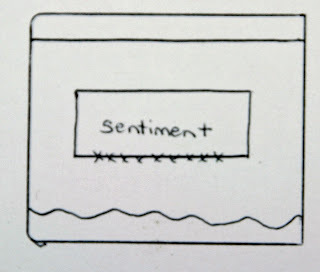 Then, select the third color - your "pint" color - and use just a bit of it here and there to accent the layout. Again, use only half as much of this color on the layout as you used of the "quart" color." Here is my layout, using the above color pallet and considering the GQP Rule. Your challenge today is to think about the Gallon/Quart/Pint rule on your layout. You can use the colors shown here or choose your own. 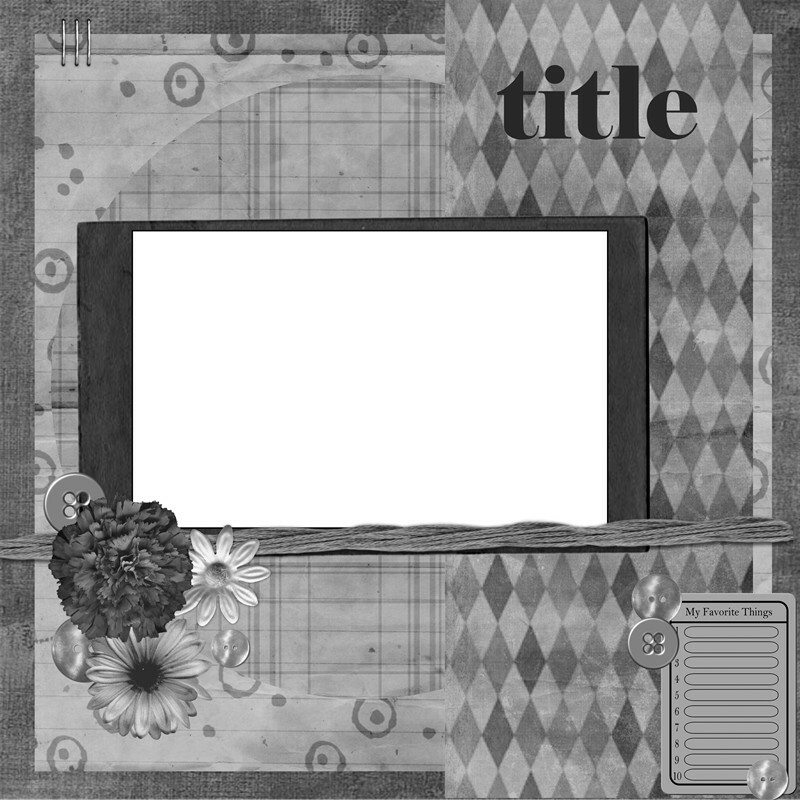 Upload a link here or show us your layout in the Scrapshotz gallery! I'm looking forward to seeing what you do with this basic design rule of thumb! 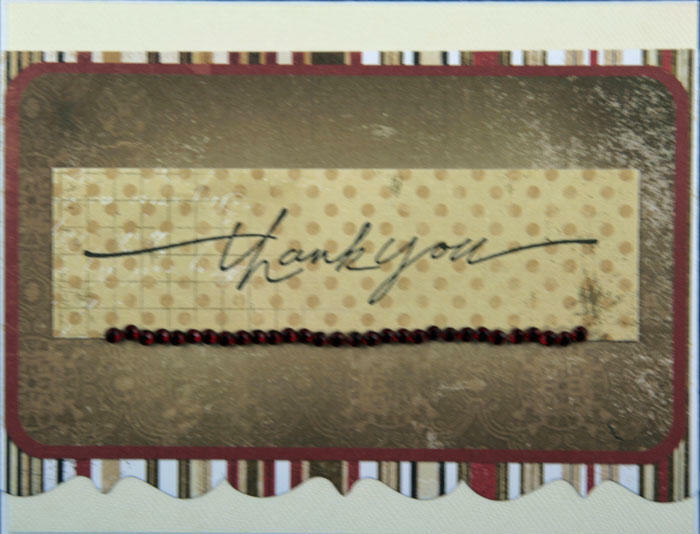 Thank you Lorraine for a fabulous challenge and gorgeous inspiration! Hi everyone! Hope you all enjoyed your Easter weekend! here is another sketch for you talented ladies to try out! And here is Gail's amazing interpretation.... notice how Gail turned the sketch sideways? 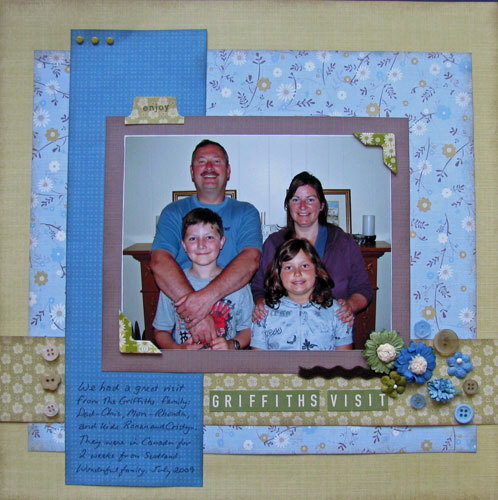 fantastic layout Gail!!! 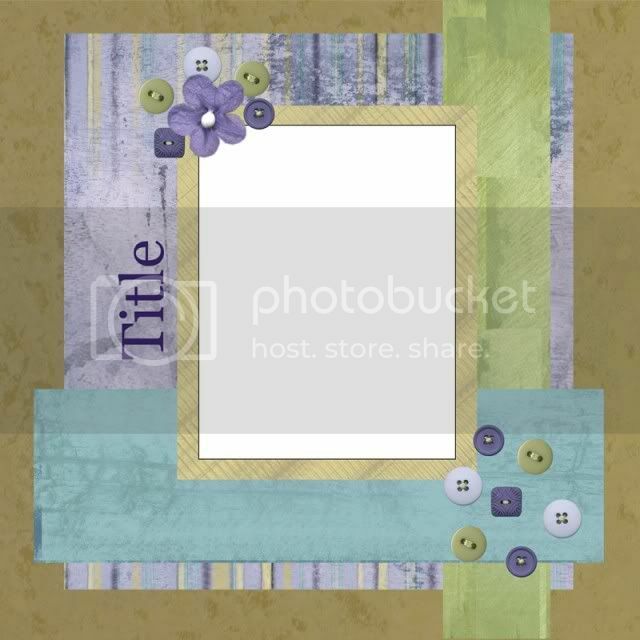 link us up or post your version in the scrapshotz gallery! Hey everyone! Hope you had a wonderful Easter! Well the gallery saw lots of gorgeous cards uploaded this week... with our card crew back in action there has been no shortage of card challenges to keep the mojo flowing! Thanks ladies! Very inspiring work! Hola!!!!! 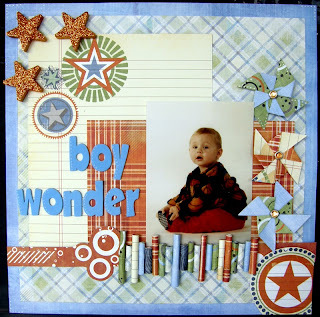 We have a fantastic Fabulous Friday Blueprint challenge from the wonderful Wendy this week! Ooooh this sketch is SO versatile! 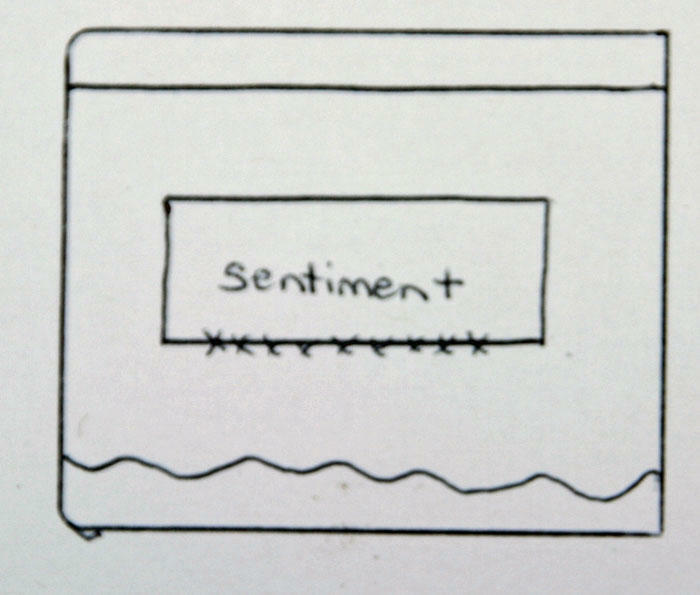 I can envision a layout from this sketch too! And here is Wendy's interpretation! We have another sketch for you! Please link me up to your interpretation in the comments or in the Scrap Shotz gallery! Nothing says spring like babies and birdies and blossoms... so I've found the perfect combination! 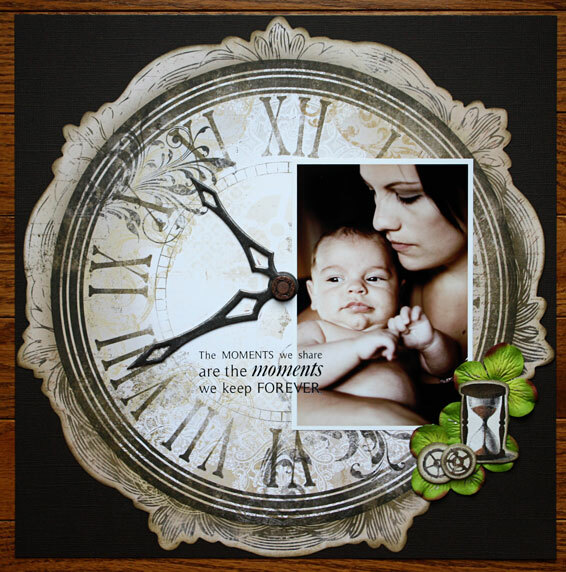 Kelly uploaded this gorgeous layout of her Grandbaby... what a cutie! Welcome, welcome, welcome on this Fabulous Friday!!! We have a wonderful challenge from the marvellous Melissa! One of my favorite things to do while I am “scrappy surfing” the internet is to take a sneak peek into the scrap spaces of others. I love photos people post of where they create, and it doesn’t matter to me if it is someone famous - like Ali Edwards or Jennifer McGuire – or if it is the scrapper down the street sharing their space. Each of these rooms has wonderful storage ideas and a personality of their own. One of the things that I am typically envious of is how “decorated” some of the scrap spaces are. My scrap room is bright and big, I am very lucky there, but it is largely functional. It just contains my hoard of supplies tucked into this organizer or that one, there is nothing to reflect my personality. I adore my space, but it is quite plain. I decided to change that with this week’s challenge! I decided to make this wall art for my challenge. 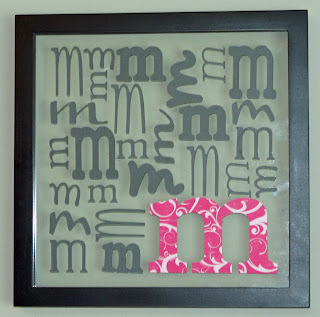 The pink paper is from everyone’s favorite manufacturer, Echo Park – one of the patterns in their Be Mine collection. 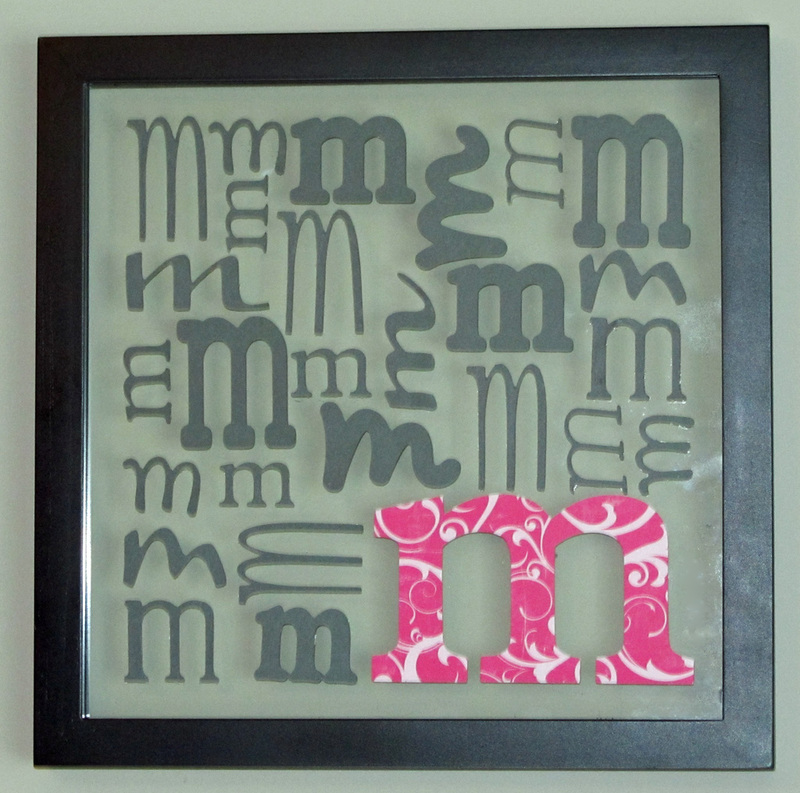 The letters are die cut from smooth Bazzill cardstock. My challenge to you this week is to create something beautiful for your creative space. We can all use a little more pretty in our lives, right?? Go nuts, just make something for YOU!! OH Melissa!!! That is just such a darling project! Thanks for sharing!!! Are you like me??? Smitten with Echo Park??? I have literally bought every single line that they have released and loved every morsel of it! Scrap Shotz is also a retailer for Echo Park - yippee yahoo!!!!! AND Scrap Shotz also had an Echo Park kit - that is how much we love love love all things Echo Park!!! Here are some of my projects with Echo Park. 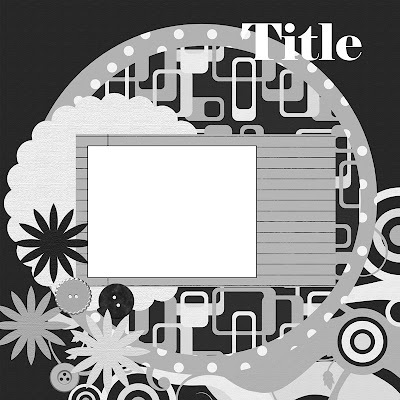 99% of the items on my layouts below are Echo Park products - I love love love purchasing their kits and having everything a girl could want to create layouts on different subjects and moods; don't you? What are you favorites??? Can you hook me up to your Echo Park projects??? 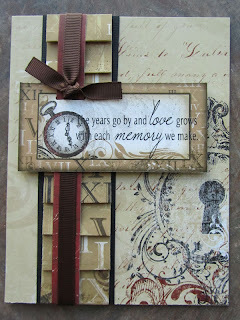 On this Fabulous Friday, we have a wonderful Inspired By challenge from the lovely Gail. As many of you know, I collect Tammy dolls. So I’d like you to be inspired by my original Tammy doll, just like I was. 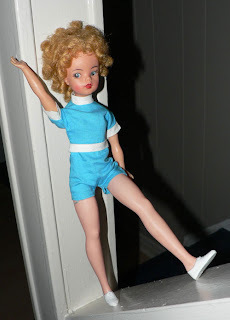 Tammy came out in the 1960s and was a competitor for Barbie. She was marketed as a “sweet sixteen, girl next door” type of doll. 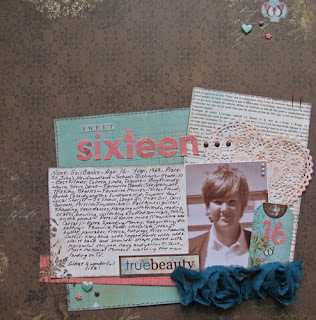 For my layout, I used the colour turquoise (in her original outfit) and a photo of me when I was “sweet sixteen”. This was the only photo I could find so I tried to “girly” it up some since I look like such a tomboy (which I wasn’t). 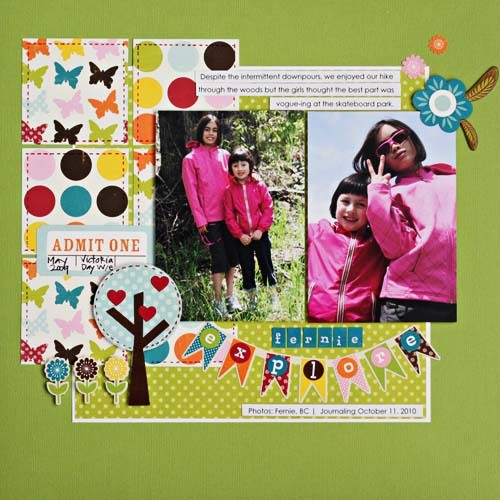 I used the fabulous BoBunny Gabrielle papers found in the Scrap Shotz store. 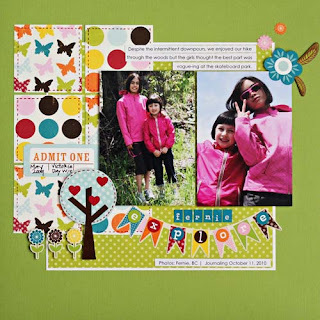 So let’s see how Tammy inspires you....whether you do a layout in turquoise, “sweet sixteen”, the 1960s, dolls/toys or something completely different. I would love to see what you come up with. Thank you Gail for this awesome challenge! Warmth, sunshine, walks, cycling and camping are just around the corner. With the warmer weather, we struggle to find the time to create. To help you out, we've introduced the Shotz Sketches!!! Twice a month, I'll post a challenge and an interpretation or two for you to be inspired by. I hope you will join me!!! Here is our first sketch! And I am SO lucky to have Laura join me with her interpretation. Isn't this awesome? Same sketch, completely different layouts! The April Scrap Shotz monthly kit is titled, Timeless Beauty, and a beauty it is! Our April kit includes all 10 patterned Papers, the cut outs, the die cut paper and 8 BZ cardstock in Crimson, French Vanilla, Java and Kraft. Included also is the 12x12 chipboard, the combo sticker, the trinkets, jewels and noteworthy journal book. We topped it off with Kaiser rub on "moments", smooch ink in mocha, three yard of ribbon and a Kaiser Flourish. 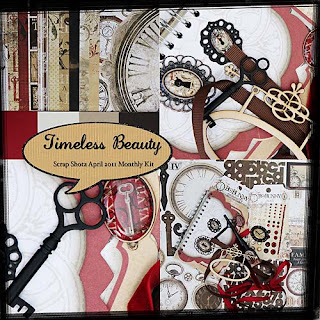 The kit is absolutetly stunning and should give you product to make numerous layouts!!! 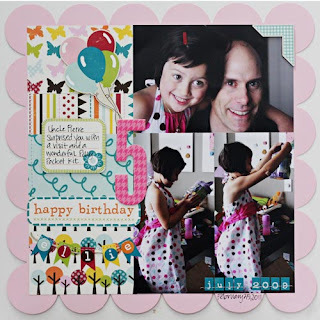 From Laura is this gorgeous layout in her characteristic style. The accordion flowers and rose beautifully complement the photo. Then we have a striking layout on the die cut paper from Lorraine. You sure have done justice to that photo Lorraine! 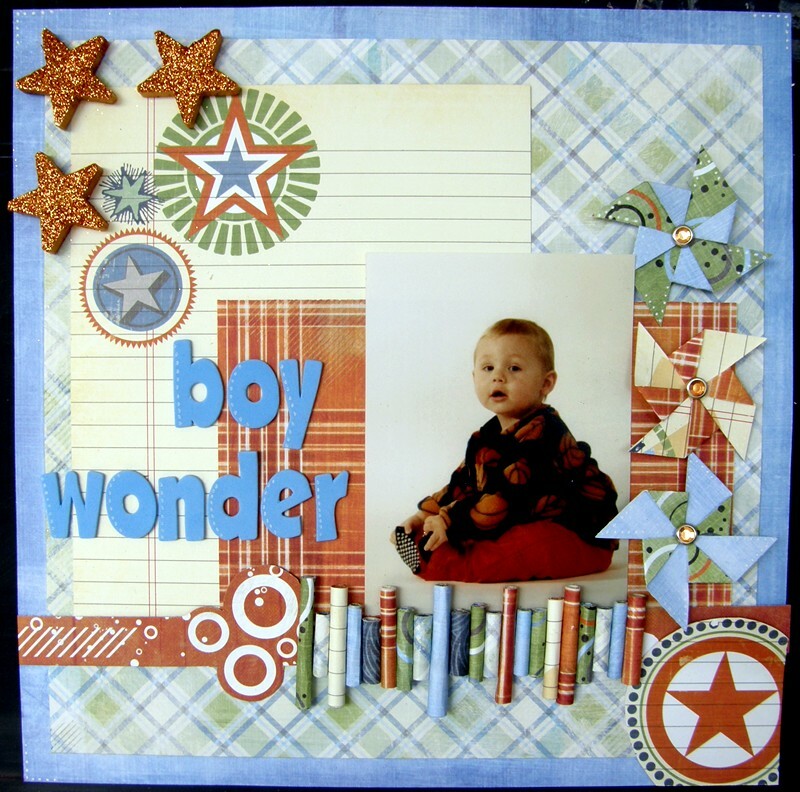 Our Wendy created this wonderful layout - look at how she used the wooden embellishment! It's adorable! From Jen, we have a heritage flavoured layout. Isn't this a jaw dropper??? From Gail, a beautiful asymmetric card which is a stunner! 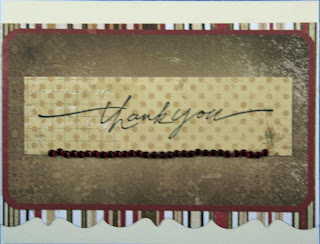 And from Melissa is this beautiful card with the pleated row of pattern paper. I think you will agree that the Design Team did a stellar job! If you want to see more gorgeous work with the kit, check out the Scrap Shotz gallery! hi ladies! How was your weekend? Weekends never seem to last long enough. They always fly by and the next thing you know its Monday again. The good thing about Mondays is the spotted in the gallery post! thanks Laurel for sharing your fabulous layout with us! Today we have a wonderful Chromotherapy challenge from the Lovely Laura. and green - for the beautiful green grass, leaves, and shrubs. 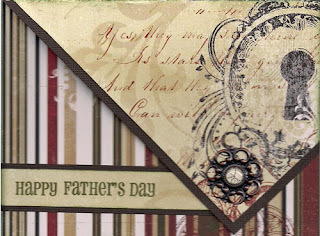 and here is my example using the Fancy Pants ~ Like Father line available at the Scrap Shotz store! 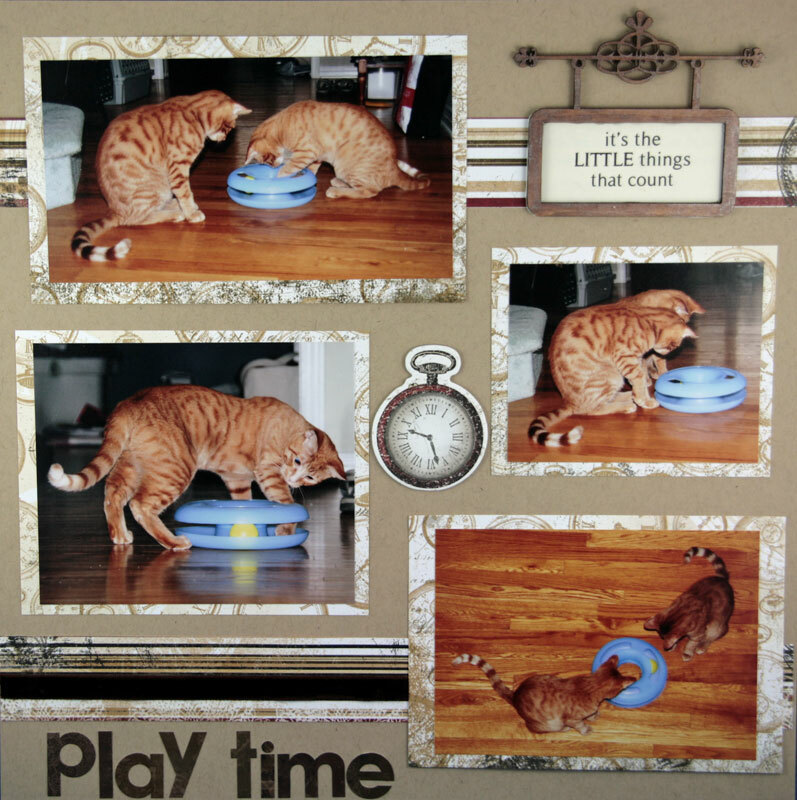 Beautiful layout and wonderful challenge - thanks Laura!!! !